Edited and republished for The Drinks Business, 16 December 2016. The Itata Valley in the Bio Bio region has for many years been somewhat of an afterthought when it comes to the wine regions of Chile. At times occupying no more than a few sentences in many texts on Chilean wine production this is at odds with its rich history of winemaking. Vines first appeared in the Itata Valley not far from the bay of Concepción in the 1500s and its reputation as a wine region continued to grow until the 1800s when the more fertile soils of the Central Valley to the north became fashionable. Big companies moved into the Central Valley and brought with them the latest in technological advances pushing the more traditional Itata Valley further into the background. 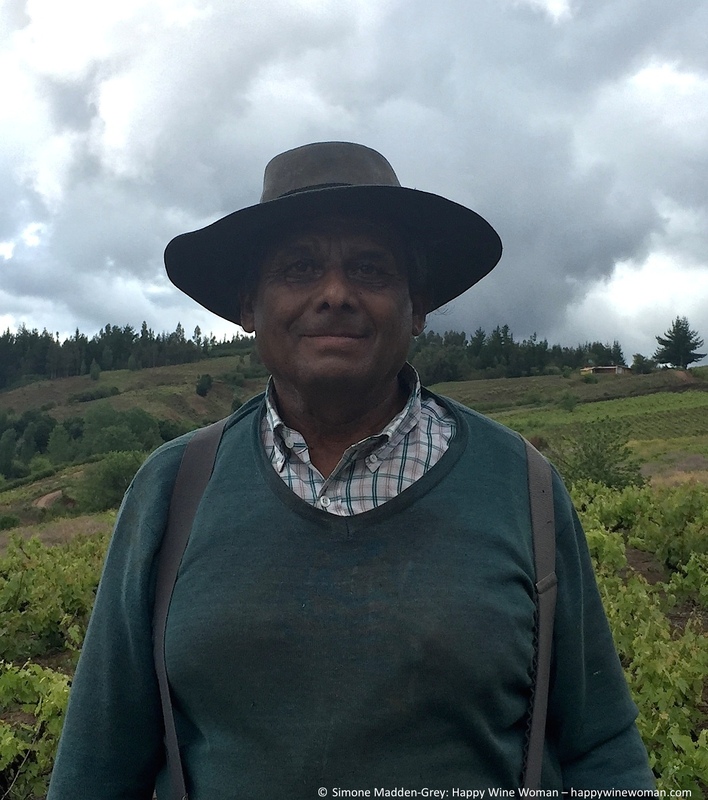 As time progressed the vineyards in Itata were divided across generations leaving a landscape dotted with tiny plots of vines and countless owners. The response to the fractured structure of vineyard ownership in the south was for larger wineries in the Central Valley to employ negociants. Grapes were sourced from several owners by a negociant at a single regional price effecting further pressure on the region’s vignerons. Today a small group of producers are bringing change to the practices in the region. These producers are working with individual vignerons to source quality fruit from a range of locations across the valley while negotiating price and viticulture methods with each grower as the relationships develop. This will be key to the future of the region as competing industries such as pine and eucalyptus plantations seek to offer greater financial incentive. 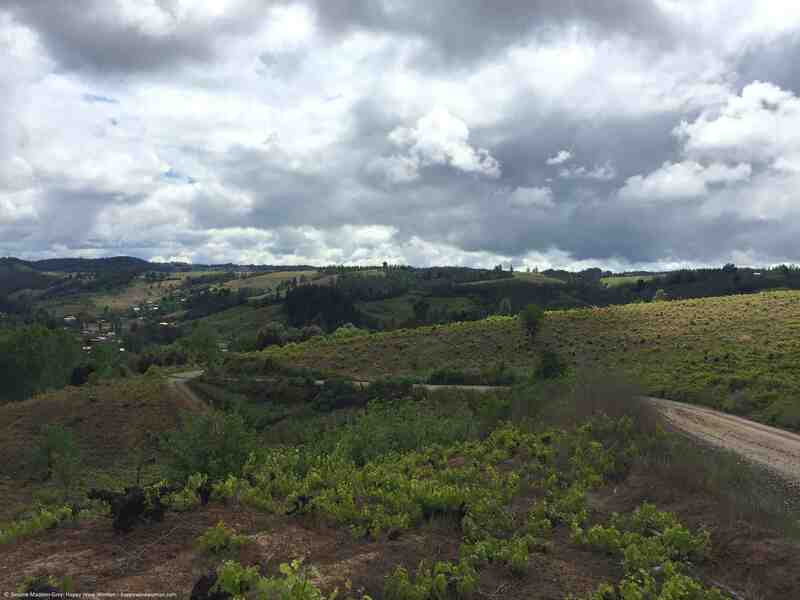 Driving through the hills of the Itata Valley the historical legacy of the area is abundantly clear. Old gnarled trunks of dry framed bush vines that have existed for decades dominate vineyards in Itata. The climate is cooler down here in the south and rain is not a problem. In fact, when asked, vigneron Leonel Ruiz, who manages his vineyards in the village of Huarilihue with his sons, tells me there are few problems for the vines here. The main challenge is pricing but this is improving as newer producers to the area establish long-term relationships with their growers. Speaking with Enzo Pandolfi Price of the eponymous Pandolfi Price Wines, he tells me that the winemaking community is a friendly one and that the strength of relationships between producers and with growers is key to future success. For Rogue Vine partners Leonardo Erazo Lynch and Justin Decker the potential for quality wines from ancient vines planted in the mix of volcanic and granite hills of Itata was too good an opportunity to pass up. If you come to taste their wines the first thing they will do, schedule permitting, is take you on a road trip to meet the people who are managing the vineyards and whose families have been part of those community for decades. Back in Concepción and we are sitting down to enjoy some excellent examples of Chilean food at Lo que más queiro together with a range of wines from producers in Itata. Talk of a theme that unites the producers from this region and words such like bravery, honest and expression are used. Pandolfi Price describes the wines, as “the most straight up wines, what you get from the terroir is what you see in the glass.” There are two groups within the community he tells me, those who don’t have the funds to do anything other than produce a stripped back reflection of terroir and those who simply like it too much to change it. Decker echoes this sentiment when he describes the wines as unencumbered, a pure expression of the site. Driving through the Itata Valley. Tasting through wines from Roberto Henríques, Cacique Maravilla, Pandolfi Price and Rogue Vine, they share a commonality of refreshing acidity and supple tannins that contribute to a medium bodied style of the wine. Whilst the wines vary in style from rustic to refined they all have a highly drinkable quality with attractive complexity and a restrained structure that references the cooler climate of this region. Perhaps most important to understand about winemaking in this region is the central role these producers play in bringing highly individual wines to the market, all the while investing heavily in the long term sustainability of both the land and its inhabitants. Hi Mister888 – thanks for taking the time to read the article. There was quite a wide range of grape varieties being used by the producers I saw on during my visit and they included Moscatel, Pais, Cinsault and Carignan with a small amount of Riesling, Semillon and Malbec. Enzo Pandolfi Price also produces a Chardonnay. Hope that answers your question!